Violet North is wonderfully inconvenient. Abandoned by her family and lost in an imagined world of moors and adventure, her life changes in the space of just 37 words exchanged with a stranger at her front door. Decades later, Daniel Bearing has inherited his father’s multi-million pound business, and is utterly lost. He has no idea who he is or where his life is headed. When Violet’s granddaughter’s marriage falls apart, Tilly, always adept with numbers, compiles a detailed statistical report to pinpoint why. But the Compatibility Index Tilly creates has unforeseen consequences for everyone in her world. Tilly and Daniel share a secret too. 10.37am, April 22nd. It’s not often that I come across a book with such a distinct style of writing so I was pleasantly surprised with the choppy and quirky narrative. However, it wasn’t quite for me; the story line was monotonous and the characters too flat for my liking. Around halfway into the book the reader starts to understand the direction the story is following and the characters’ plot lines begin to intertwine. I enjoyed Tilly’s story and the Compatibility Index that she ultimately designs to explain why her marriage is failing. Looking back, I also think that the author revealed the link between Tilly and Violet in a very clever way and it was a joy following Tilly in her adventure to pursue her grandmother’s tales. This was an uplifting and inspiring book and I wish that I was more patient at the start rather than rushing to understand from the beginning how the characters are connected. I recommend it to anyone who is looking for something different and is able to look past the short chapters and unconventional writing style. This was an incredibly difficult book to put down despite how harrowing and complex the subject matter is. 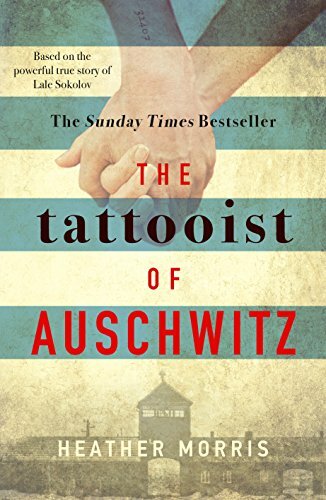 Perhaps what makes it even more challenging is the knowledge from the start that it tells the true story of Lale, a survivor of Auschwitz, and that all the difficulties he faced as the tattooist were real. It may be a horrifying story but the overwhelming themes of courage, loyalty and the willingness to survive are present throughout making the book truly gripping. Apart from the strong willed character of Lale, this book also manifests similar strong traits through the hardships that Gita and Cilka lived through, from disease to malnutrition to abuse. The writing is very matter-of-fact and the author doesn’t delve much into the characters emotions, yet as the event of Auschwitz unfold, the reader is able to interpret the mixture of feelings experienced in such a confinement. I am pleased that I decided to read this novel after much doubt. It is important that stories like Lale’s are retold and reconstructed so the horrors of war are not forgotten and are avoided. What made this book stand out from others in this genre was the brilliant way that the author gave Lale a voice and retold his story with honesty, proving how sincere relationships can form even in the most extreme situations. Everyone must read this book, regardless of the intricacy it boasts, to fully appreciate the buried memoirs of many prisoners that are finally being unearthed. Her relationship with her mother is at breaking point. She knows she needs to find her father. She’s missed so much that her friends have left her behind. She’s felt so helpless for so long that she’s let polls on her blog make her decisions for her. And now she barely knows where to start on her own. And then there’s Lennox. Her best friend and one time lover. He was sick too. He didn’t make it. And now she’s supposed to face all of this without him. 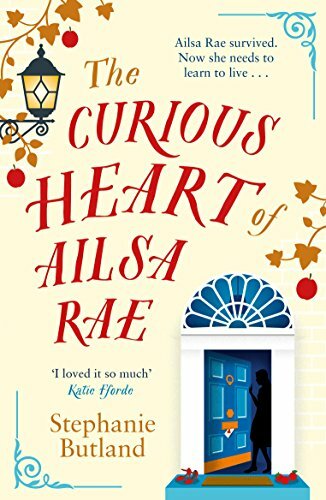 This was a simply marvelous read and I thoroughly enjoyed discovering the courageous and quirky Ailsa Rae. The author has developed a very likable character in Ailsa and it was a pleasure joining her in her adventures such as learning to Tango, discovering love and finding her father. Despite the tough subject matter, the author explores Ailsa’s courage through her positive stance in receiving her new heart by fearlessly throwing herself into all life has to offer. I especially liked her dedication to her blog and the connection she developed with her followers, basing each decision on their comments but also enjoyed her persistence and willingness to make her own decisions as her confidence grew. Seb plays an interesting part in this book and I enjoyed seeing his friendship with Ailsa flourish. Although their mutual condition of post-operation recovery originally unites them, it soon becomes clear that there is a romantic touch to their relationship that they are keen to explore. 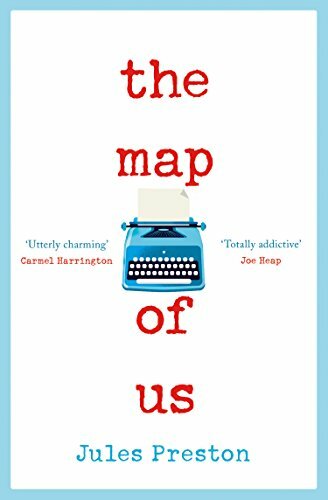 However, I still don’t believe that the romantic part of this book overrides the other predominant themes and I would struggle to mark this book as romance only. For me the most appealing part of the book is the need to find your true self and live life to the fullest. The author took a very difficult subject and presented this concept beautifully through Ailsa’s character which made this book even more engaging and enjoyable to read. I think I will remember it for a very long time and I am glad to have stumbled across it. This was an incredibly tough book to read but so powerful and vivid that I managed to finish it in one sitting. The first person narrative added a very intimate touch that made his story feel even more heartbreaking. 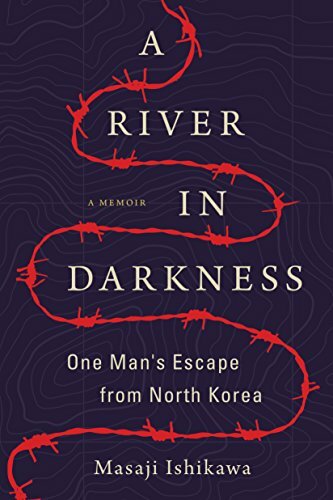 Gripping from the very first chapter, I was immediately drawn into his worries of moving to North Korea and shortly after the struggles his family faced to survive. The narrative feels extremely real and the events so disturbing that it is almost unbelievable how bad the totalitarian regime in North Korea is. It is probably of no surprise that what I most enjoyed in this book is the end where Masaji shows courage and an exceptionally strong character by trying to escape from North Korea. This was perhaps where the story took a turn for the better and we followed a much more promising, although still rough, journey through Asia to safety. His will to survive is overwhelming and it puts everything into perspective, celebrating the little things in life that we often don’t realise we have. My only criticism would be the very abrupt end and lack of narrative following his life to date. No information of the author’s life is available online and it is unknown how this story was published or who helped him in writing this book, an important detail that I wish was shared with us, although I feel that this was done on purpose to protect him. Nevertheless, this book is a real eye-opener and I highly recommend it to everyone. I didn’t know what to expect when I first started reading this book but I was pleasantly surprised by the quirky characters and crisp writing style. Don is utterly bizarre but also charming in his own way and I immediately warmed to his character. 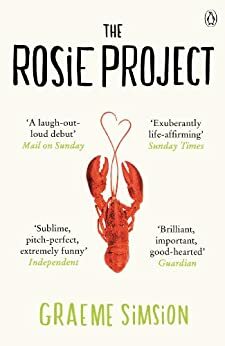 I particularly liked the contrast of Rosie, relatively normal when compared to Don, and her ability to dilute the strange settings they sometimes found themselves in during “The Father Project”. The other minor character, Gene, offered a lot to the story in terms of the science and logic behind both projects and the mechanics of Don’s mindset which, without giving too much away, I thought was key towards the end. Particularly notable throughout the book are the very witty scenarios, misunderstandings and quirks in Don’s life such as lobster Tuesdays and the hilariously described cocktail incident. These flaws make for a very vivid and fun personality that the reader cannot help but love. By building the complex wife questionnaire we immediately understand and admire Don’s simple and straightforward thinking and this is later repeated in a more elaborate form with “The Father Project”. The author develops several key themes here and expands on the familiar notion of the difficulty in finding a suitable partner and the fact that quite often opposites attract even though we may not in be control of it. I thoroughly enjoyed this book even though it doesn’t reflect my usual choice. It was enjoyable and unlike many similar reads I found myself laughing out loud several times and keen to discover the mind of Don Tillman. However, the slow pace and abrupt ending may not suit other readers, an important aspect to consider when deciding to pick up this book. Born into wealth and privilege, Avery Stafford seems to have it all: a successful career, a handsome fiancé, and a lavish wedding on the horizon. But when Avery returns home to help her father weather a health crisis, a chance encounter leaves her with uncomfortable questions and compels her to take a journey through her family’s long-hidden history, on a path that will ultimately lead either to devastation or to redemption. I was immediately drawn into the story from the first page, particularly in Rill’s story starting in 1939 and following the roller coaster journey from her riverboat home to the orphanage. A controversial and difficult theme like kidnapping and child-trafficking requires carefully chosen vocabulary and I thought that the author successfully handled this sensitive topic. The five Foss children felt very real and I especially liked how their character developed from their home to the orphanage to their new adopted homes. In contrast, I didn’t feel that the present day story held the same level of complexity, perhaps because it unfolded in a relatively slower pace. Avery’s storyline felt strained and I thought that certain parts could have been avoided, such as the love story which seemed unnecessary, considering the theme of the book. However, her relationship with her grandmother was sincere and I admired her will and hope to uncover the truth. The family bond, both in past and present, was completely believable and genuine and I enjoyed discovering the connection between River Foss and the present day characters. Without giving away too much detail, I can say that the ending was bittersweet and as pleasant as can be expected in such delicate circumstances. It definitely made a lasting impression and I was eager to research this scandal and pleased that it was depicted in such a respectable manner.